As the newest member of the industry leading Magellan bar code readers, this revolutionary scanner will expand existing point-of-sale (POS) capabilities for retailers by combining the performance of laser barcode scanners with the ability to read two-dimensional (2-D) bar code symbologies. The Magellan 3200VSi scanner uses new imaging technology and software developed by Datalogic Scanning to increase scanning performance on hard-to-read bar codes. This scanner also features high performance sweep capability with omni-directional reading to further enhance the productivity of cashiers. By improving first pass read rates, the Magellan 3200VSi scanner yields a performance gain for the retailer’s check-out by ensuring faster and better customer service, while increasing operational efficiency. Additionally, the ability to scan the most popular 2-D bar codes gives the retailer the capability to support emerging applications like bar code-based mobile marketing, which requires the inclusion of more data in smaller spaces. 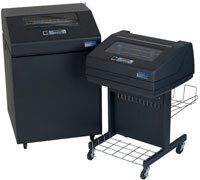 Star Micronics is proud to add the SM-S300 and SM-S400 to its offering of Portable Receipt Printers. The SM-S300 is ideal for the hospitality as well as retail “line busting” as its sleek design fit in a customer friendly environment. In addition to easy drop in & print paper loading and print speed of 65mm per second, the SM-S300 features an LCD display, magnetic stripe reader and comes standard with Serial and Bluetooth connection. For field service and public safety applications that may require a wider printout, Star offers the SM-S400. The SM-S400 is a 4-inch wide portable printer. 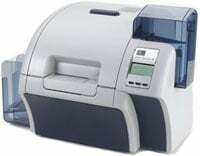 In addition to easy drop in & print paper loading and a print speed of 50mm per second, the SM-S400 also features an LCD display, magnetic stripe reader and comes standard with Serial and Bluetooth connections. The SM-S300 and the SM-S400 come with a 1-year limited warranty and are FCC (Federal Communications Commission) certified. The POS-X XPC600 all in one POS terminal has been designated end of life effective immediately. 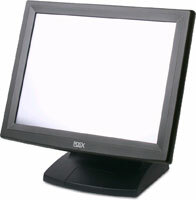 POS-X has introduced a new family of fanless systems to our product line, the EVO Touch PC. The EVO TouchPC improves upon the XPC600 by offering greater performance, a Solid State Drive (SSD) option, and up to 2GB of RAM. *Note: Solid State Drive (SSD) and 2GB RAM models not shown. Socket Mobile, announced expanded compatibility of the Socket Bluetooth Cordless Hand Scanner (CHS) Series 7 with BlackBerry® smartphones including the Bold™, Curve™, Pearl™, Storm™ and Tour™. The CHS Series 7 brings industrial-class barcode scanning into a lightweight, pocket-sized form factor and is available in 2D and 1D scanning options with either standard or antimicrobial casing, which protects the device against the multiplication and spread of harmful bacteria and microbes and is a popular choice in the healthcare and hospitality industries. Socket provides free SocketScan™ software, which enables the CHS to connect to any BlackBerry smartphone via Bluetooth, allowing easy integration by an IT team or individual users. CognitiveTPG announces that its Advantage DLX thermal barcode label printers are now certified to work with Point of Success software for any type of restaurant or food service establishment. “Many of our pizzeria and take-out restaurant customers were replacing their Cognitive Blaster printers. We wanted to be sure they could continue to use a similar high-quality CognitiveTPG printer, so we made the development investment to certify Point of Success for use with the Advantage DLX printer. The certification went smoothly and we received all the support we needed,” said Jeff Ward, CEO of Inborne Technology Corporation, developers of Point of Success. Printronix, a leading industrial printing solutions manufacturer, today announced the latest introduction in its flagship line matrix product series, the P7000 cartridge line matrix printer. The new P7000 cartridge printer gives users the added advantage of a cartridge that enables easy replacement while delivering ease of change, clean-hands installation, more uniform print quality and longer ribbon life. Ideally suited for supply-chain and back-office printing applications, the Printronix P7000 series is the preferred choice of companies around the globe, offering more uptime and mission-critical dependability, while providing lower service and operating costs. “Reliability and value are still top buying priorities in Line impact printer environments. Businesses want integrated print management, precise print quality and operating cost controls in high-volume printing for mission critical applications,” said Peter Grant, managing vice president at Gartner. Printronix line matrix printers work predictably and consistently in challenging physical environments, performing reliably under temperature and humidity extremes and often using low quality paper or paper with a high recycled content. In contrast to laser printers, which require a pristine operating environment and high quality paper, the P7000 also works in current and legacy host environments to efficiently and reliably support critical business processes and is ideally suited for printing multi-part forms. In addition, the cost of supplies for a laser printer is six times the cost of supplies for a line matrix printer, delivering a significant total cost of ownership advantage for line matrix users. Zebra Technologies, a global leader in specialty printing and automatic identification solutions, today announces the new RW 420 Print Station (model RW4-PS), a printer and hand-held in one unit. The RW4-PS enhances worker productivity by delivering more efficient and effective mobile equipment management. Now workers will carry less equipment and fewer charging devices, allowing for quick end-user adoption. The RW4-PS is designed to address the evolving business challenges of the mobile workforce by incorporating Zebra’s mobile printing technology into a single, compact, lightweight and rugged unit capable of supporting the Motorola MC70 and MC75 handheld terminals. Zebra engaged companies such as Andrews Distributing, one of the most successful beer distributors/wholesalers in the country, to gather input on the features and usability of the RW print station. 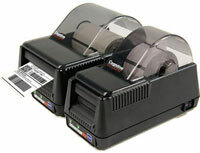 An overview of the Star TSP100 ECO receipt printer. Motorola today introduced new advanced data capture solutions designed to streamline and error-proof everyday processes across multiple industries. Motorola’s new DS6878 cordless imager series and DS6707-HC healthcare-specific handheld imager help enterprises increase operational efficiencies and reduce errors with revolutionary scanning performance for improved quality of customer and patient care.